Last weekend I was thrilled to be invited to London fashion weekend. If you’re wondering whether I’ve got it wrong and meant to type ‘week’ instead, that wasn’t a typo. It’s an entirely seperate event that takes place just after LFW. It’s held in the exact same place (Somerset house) and the exact same catwalk that top models such as Naomi Campbell and Jourdan Dunn had walked down merely a few days ago is used. So what’s the difference? well, London Fashion Week is a trade event for fashion industry professionals who must register or be invited in order to attend. 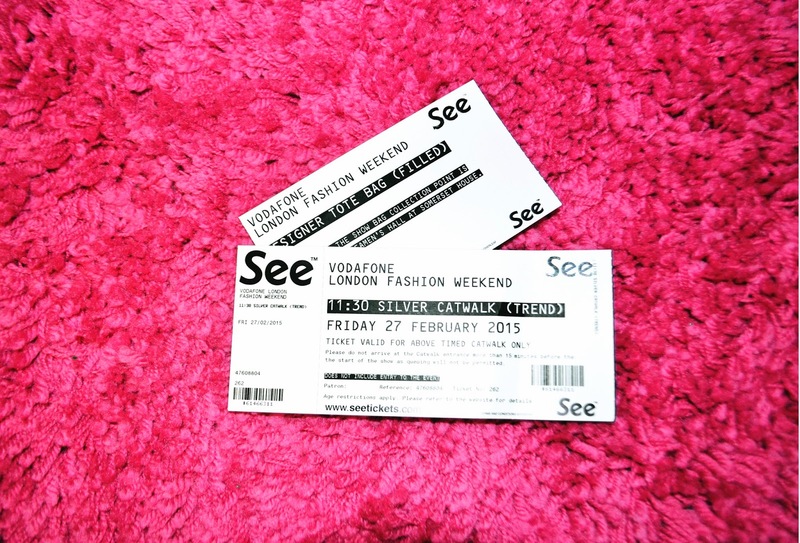 Vodafone London Fashion Weekend however is the consumer event. Members of the public are able to shop from highly regarded designers, from the high profile to the emerging, at reduced prices. During the event there are also two different catwalks, the Designer catwalk and the Trend catwalk. 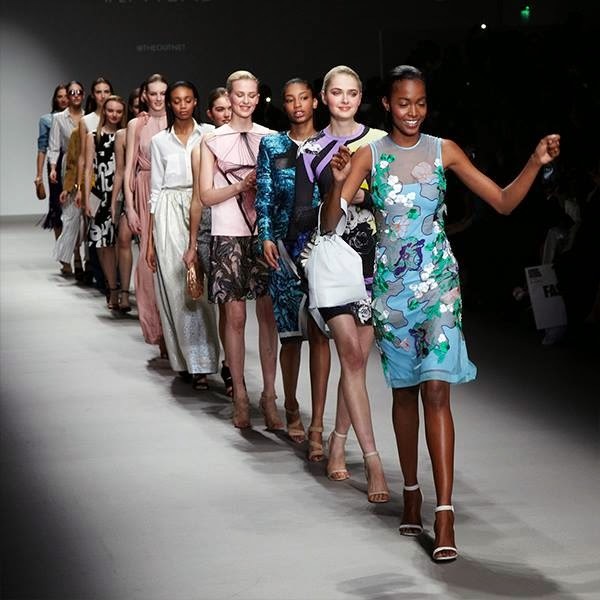 The designer catwalk is pretty self explanatory, a designer (you’re not always told who beforehand) showcases the best of their work for everyone to see. The Trend catwalk showcases the trends for the upcoming season. This year the trend catwalk was bought to us by outnet.com – a great website where you can similarly by designer pieces at discount prices. Outnet is actually an outlet store bought to you by Net A Porter. The ever present monochrome is still going strong. You just can’t go wrong with this really. I suppose experimenting with bold prints in monochrome would make it a little more interesting. Lastly, the best trend of the upcoming season is definitely the 70’s boho chic theme. I quite like the 70s, and this of course means fringeing & suede is definitely going to be big. However my favourite pieces from the 70s are the long chic dresses. The maxi dresses this summer will most probably have a slight twist to them so that they’re a little more structured and smart casual; definitely something I’ll be looking to add to my wardrobe! My favourite trend piece was the one above. I had seen Donna from that 70’s show wear a similar dress but in rust and loved it. After the show I proceeded to “London’s biggest fashion pop-up” and perused the rooms. I was so very close to emptying my bank balance with the entire Ducie collection, however I decided against it as most of it wasn’t practical for the warmer weather. 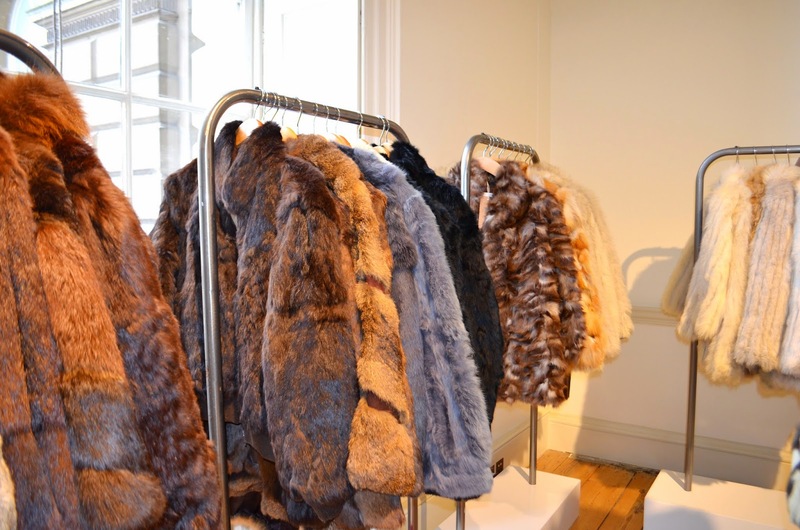 It was pretty surprising that there was A LOT of fur going on with the designers, and lots of coats for sale considering the fashion shows were showcasing trends and designer pieces for the upcoming season. The show was also sponsered by Toni & Guy and Maybelline. Both had their own rooms where visitors were able to get themselves made over by their highly skillful team. The Catwalk and shopping wasn’t all there was to the event, Holly Fulton and Julie Deane (founder & CEO of The Cambridge Satchel Company) were on hand to give talks and Alexandra Stedman spoke on becoming a fashion stylist. I love that everyone gets a totebag when they attend, however depending on your ticket type (bronze, silver or gold) your goodies that you get inside vary. I had a silver tickets so this is what was in mine. So what did I think of the trend predictions? Well, florals, military & festival/boho are the generally S/S trends year after year. I’m finally glad they’ve ditched the military/khaki trend and gone for shimmer instead. I was however surprised they left out denim. Denim on denim and denim flares are going to be huge for sure. All in all, it was a great day out and I would probably go again next year. Maybe next year I’ll dress risque or completely outrageous and see if I can pass it off as “high fashion”. Who’s with me?